Sparkle Courses are insightful, inspiring, individualised, fresh and fun. Drawing upon a vast body of evidence, these courses provide easy, effective steps to incorporate daily changes to improve health and longevity, one by one. Experience how positive, easy, healthy actions can make you feel SO much better. 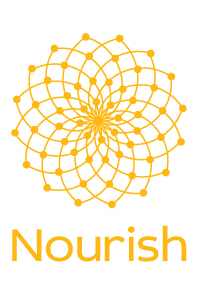 FREE NOURISH WEBINAR – THURSDAY 21st 12.30pm – JOIN HERE! With each step you choose the direction you’re headed in. Sparkle online courses offer a rich array of evidence based information and practical tools to support you get control over your health. Choose from Sparkle detox challenge, Sparkle full detox and Sparkle Nourish and find the tools you need to shift your health trajectory. Sparkle Complete Detox and 21 day Detox Challenge step through the preparation process and a range of options for an intense detox period. It also provides guidance on reducing toxins and how to “recalibrate normal”. Focused on self love and nourishment in ways, Sparkle Nourish is also an insightful nutrition course that leads to fat loss and health gain. The Sparkle Vital Course is still in development, and will be available in 2019. Need the extra support to get your commitment and momentum going? Join the Sparkle Nourish premium option below and enjoy the added support of special individual attention with naturopath Sally Mathrick. Enjoy the full Sparkle Nourish, with the added benefits of live group support and individual consultation and follow with naturopath Sally Mathrick.